Phencyclidine (PCP) is a dissociative hallucinogenic drug, and these drugs produce significant perceptual changes in individuals who take them. These perceptual changes alter a person’s experience of reality to a point where their interpretation of environmental stimuli (e.g., sight, sound, touch, etc.) is markedly changed and inconsistent with the real world. How Long Does PCP Stay in Your System? All drugs alter perceptual experiences to some extent but not to the effect that hallucinogenic drugs do. Hallucinogenic drugs affect these perceptions in a decidedly different way than other types of drugs, and individuals often have visual or auditory hallucinations (e.g., seeing or hearing things that are really there), experience sensory stimuli (e.g., colors, sounds, smells, etc.) as far more intense than they really are, and have very intensified emotional reactions or experiences. 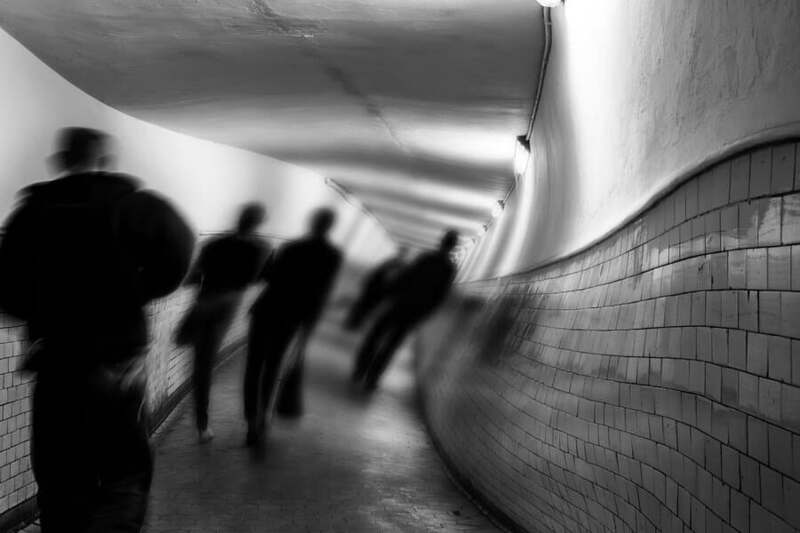 A dissociative hallucinogenic drug like PCP has the added effect of also producing a number of perceptions that are idiosyncratic in nature, such as the feeling as if one is leaving one’s body (depersonalization), the feeling that surrounding things are not real, or that one can step outside of reality and look in (derealization). PCP is considered a very dangerous drug of abuse. The drug was initially designed to be an anesthetic drug; however, users began to become psychotic (i.e., lose touch with reality, experience hallucinations and delusions, etc.). The Drug Enforcement Administration classifies PCP as a Schedule II controlled substance, designating that while it still may have some medicinal uses, it is extremely dangerous and highly likely to be abused. According to a number of sources, the actual mechanism of PCP is quite complicated and not fully understood; however, it is known that PCP use affects various neurotransmitters in the brain. Research indicates that PCP is known to primarily affect the neurotransmitter N-methyl-D-aspirate (NDMA), which is an excitatory transmitter and a member of neurotransmitters collectively known as glutamate. PCP appears to inhibit the functioning of glutamate (NDMA) despite neuroimaging studies indicating that it also produces diffuse activation in the brain. It also affects the neurotransmitter acetylcholine by inhibiting its actions. PCP affects dopamine and serotonin, in particular a dopamine receptor known as the D2 dopamine receptor. This dopamine receptor is often studied in individuals with psychotic disorders, such as schizophrenia, and PCPs effects here may have something to do with its ability to produce hallucinations, delusions, etc. A number of research studies have modeled the actions of PCP to hypothesize about the causes of these psychotic disorders. In addition, PCP affects other neurotransmitters, such as endorphins and enkephalins, that are involved in the suppression of pain and exertion. This may account for PCP’s anesthetic effects. Often, rates of abuse for illicit and licit drugs must be determined from surveys where people are asked to supply a self-report of their current and past substance use. This may underestimate the actual figures. Per the Substance Abuse and Mental Health Services Administration (SAMHSA), an estimated 1.2 million individuals over the age of 12 had reported using hallucinogenic drugs in 2015. In 2016, 1.2 percent of 12th graders reporting having used PCP. In 2015, 2.4 percent of individuals over the age of 12 reported ever using PCP. Of individuals between the ages of 12 and 17, 0.2 percent reported lifetime use and 0.1 percent reported past-year use. None of the individuals in this age group reported past-month use. Of the individuals between the ages of 18 and 25, 0.2 percent reported lifetime use, 0.1 percent reported past-year use, and none reported past-month use. Of individuals over the age of 25, 2.9 percent reported lifetime use and none reported past-year use. Thus, based on the latest available information, it appears that current use of PCP has declined significantly. Based on the above figures, it appears that most use of PCP occurs in younger individuals, and as they mature, they stop using the drug. Nonetheless, past figures from SAMHSA suggest rising trends of abuse from 2006 to 2011. Continued work to provide education to younger individuals, substance use disorder counseling, and other efforts should continue. Lower doses of PCP result in intoxication similar to the intoxication produced by alcohol. This includes slurred speech, issues with walking and motor coordination, euphoria giddiness, and bloodshot eyes. Individuals under the effects of lower doses will also experience hallucinations, aggressiveness, and dissociative effects. They often believe they are invulnerable and have issues with poor judgment. Moderate doses of PCP produce the above effects with heavier sedation. These individuals may become unconscious or unresponsive. Heavy doses of PCP are associated with an exacerbation of all the above-mentioned effects, but they are also likely to produce coma and catatonic states. They may result in life-threatening seizures. The long-term effects of PCP abuse have been studied in a number of animal models and in observational studies of PCP chronic abusers. Chronic use is associated with brain damage that in some cases may be irreversible to some extent. In addition, individuals may begin to experience psychotic issues, and there is the potential to develop hallucinogen persisting perceptual disorder, which most often occurs in individuals who have used LSD but may occur in some individuals who have used any hallucinogenic drug. This disorder consists of experiencing “flashbacks” that occur when the person has not used the drug for some length of time. The cause of this disorder is unknown, but it is believed to be related to changes in the brain that occur with chronic use of hallucinogenic drugs. The disorder is treated on a case-by-case basis, depending on the symptoms experienced. Damage to areas of the frontal cortex: A major effect of PCP use occurs in the frontal and prefrontal cortex of the brain. This area of the brain manages a number of complicated functions, including the ability to pay attention, maintain focus, switch attention, and inhibit behavior. Long-term use of PCP is associated with attentional issues in individuals due to damage in the neurons in this area of the brain. In addition, individuals are often unable to control certain impulses as a result of chronic PCP use. This results in individuals having a tendency to be violent or aggressive as well as becoming more prone to develop issues with depression. Issues with the ability to pay attention affect one’s ability to learn. Memory loss: The action of PCP affects the neurotransmitters acetylcholine and NMDA in an area of the brain known as the hippocampus. This can lead to inability to encode information that is later transferred into long-term memory. Chronic use of PCP is associated with damage to the neurons that perform these functions, with the potential for issues with memory even when the drug is not being used. Increased potential for other issues with mental health disorders: The actions of PCP affecting dopamine and other neurotransmitters are associated with the potential to develop issues with psychosis and other psychotic disorders. In addition, dopamine is also implicated in a number of mood disorders, including depression. The effects of dopamine are involved in the development of repetitive behaviors, such as substance use disorders. Substances of all types may chronically alter areas of the brain associated with learning via reinforcement, making some individuals more likely to develop serious substance use disorders to a number of drugs. Cerebellar dysfunction: The cerebellum is a structure at the posterior portion of the brain that has a number of complex connections to the frontal cortex and other areas. Its primary function is associated with movement; however, it has a number of other functions relating to cognition. Individuals who abuse PCP demonstrate changes in respiration rate, heart rate, blood pressure, and loss of muscular coordination that may be related to cerebellar functions. Over the long-term, chronic abuse of PCP may result in permanent alterations of these pathways that affect a number of functions, including coordination, reaction time, movements, etc. Other issues: Chronic use of PCP is associated with massive activation throughout areas of the brain as a result of immense neurotransmitter release and later suppression of these neurotransmitters. This can lead to a number of effects that may present differently in different individuals, including issues with apathy, emotional regulation, sensitivity to environmental stimulation, issues with controlling temper, the develop of depression, etc. Individuals chronically abusing PCP are also at greater risk to develop seizures, stroke, heart attack, high blood pressure, etc. Of course, individuals who abuse PCP in combination with other drugs of abuse, such as alcohol, cocaine, cannabis etc., run the risk of serious interactions between these drugs. Chronic polydrug abuse is associated with the exacerbation of the above symptoms and a number of other potentially dangerous physical issues, such as the development of seizures and issues with overdose. According to a number of emergency medicine manuals, such as Rosen’s Emergency Medicine: Concepts and Clinical Practice, anyone who overdoses on PCP is at extreme risk for serious damage. Individuals who have overdosed on PCP and are not comatose or catatonic are typically very hyperactive and need to be restrained. They may also be overtly psychotic and experiencing hallucinations or paranoid delusions. If the individual is aggressive or extremely confused, they may be given sedatives, put in restraints, or given some other form of treatment to attempt to calm them down. Vital signs will be monitored, and the specific symptoms treated. Typically, individuals are given intravenous fluids, and they may be given activated charcoal if the individual took the substance orally. Specific symptoms will be managed by medications, behavioral interventions when possible, and the use of IV medications/fluids, if possible. There is no specific drug that can treat a PCP overdose, and emergency treatment can only address specific symptoms and attempt to keep the person stabilized. In some cases, psychotic symptoms may last for a significant length of time, and an individual may need psychotropic medications, such as antipsychotic medications. Following acute treatment, the individual will usually be offered the opportunity to participate in formal substance use disorder treatment as anyone overdosing on PCP would likely have a serious substance use disorder.